"If the U.S. side obstinately clings to its course and takes any new tariff measures against China, then the Chinese side will inevitably take countermeasures to resolutely protect our legitimate rights," Foreign Ministry spokesman Geng Shuang told a regular briefing, when asked about Trump's warning. Trump has criticized China's record trade surplus with the United States, and has demanded that Beijing cut it immediately. 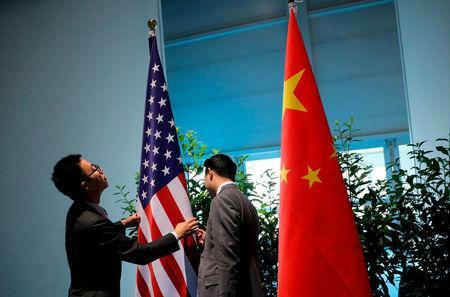 Tension has also persisted over limits on U.S. firms' access to Chinese markets, intellectual property protection, technology transfers and investment. China's official export data has been surprisingly resilient, with growth exceeding analysts' expectations for five months in a row.